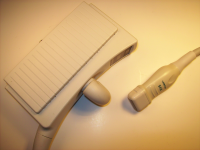 Neonatal ultrasound equipment is among the most important equipment you will find at any hospital or medical facility. The first hours, days and months of a newborn are vital, so it’s essential that your neonatal ultrasound machines, probes and transducers are in perfect working order. 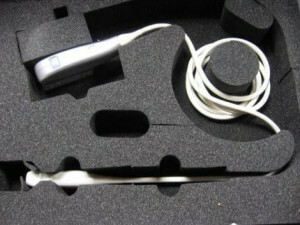 At UsedUltrasound.com, we carry a complete inventory of used neonatal ultrasound probes and transducers for sale, and we sell them for less. We also have a selection of neonatal ultrasound systems from manufacturers like Medison, HP, GE, SonoSite and many more. 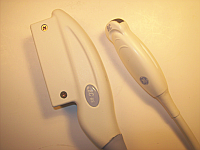 Regardless of which brand of ultrasound machine you have, you can count on UsedUltrasound.com to have a wide selection of compatible ultrasound probes and transducers. We can also provide ultrasound financing to qualified buyers, and we have a range of shipping options available depending on how quickly you need the equipment. We have a dedicated customer service team that is ready to answer any questions you have about neonatal ultrasound probe pricing or about our 100% satisfaction guarantee. We only sell refurbished neonatal ultrasound transducers that have been professionally tested to make sure they meet or exceed the original manufacturer’s specifications. Contact us today for the current price of any used refurbished neonatal ultrasound equipment listed on our website. And if you don’t see the neonatal probe or transducer you need, just give us a call and we’ll work to locate it for you at an affordable price. 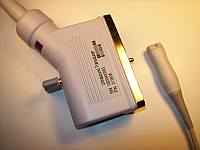 If you need to have a neonatal probe or transducer repaired, we can help with that too. We also have ultrasound service contracts available so that you can keep your equipment running for years to come. 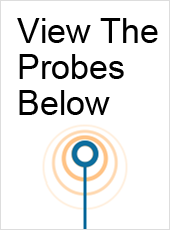 Whether you are looking to buy a neonatal ultrasound probe today or just in the process of comparing prices, contact us right now and we’ll provide the lowest price to help you make the best buying decision for your business.